Family Day is coming up. Here in Alberta, the third Monday of February is a holiday. We all get the day off to spend time with our families. Pretty cool, eh? But Trisha, you ask, what does that have to do with creating a cozy reading nook for my kids? Well, from what I’ve heard, kids tend to find more value in getting quality time with their parents than in monetary gifts. So, here’s my idea for you: get TWO BIG PARENT POINTS this Family Day (or Saturday, or whatever day works for you) by spending quality time with your kids in a way that will also encourage them to spend more time reading. 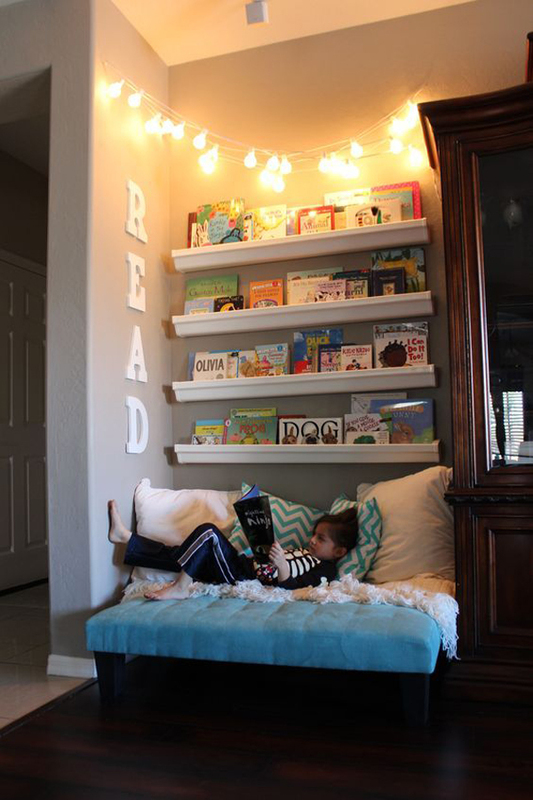 Spend the day creating a cozy reading nook with your kiddos and then read in it together. If you Google “reading nook for kids” you will get a some elaborate (and super expensive looking) reading spots. But, it doesn’t need to be that complicated. 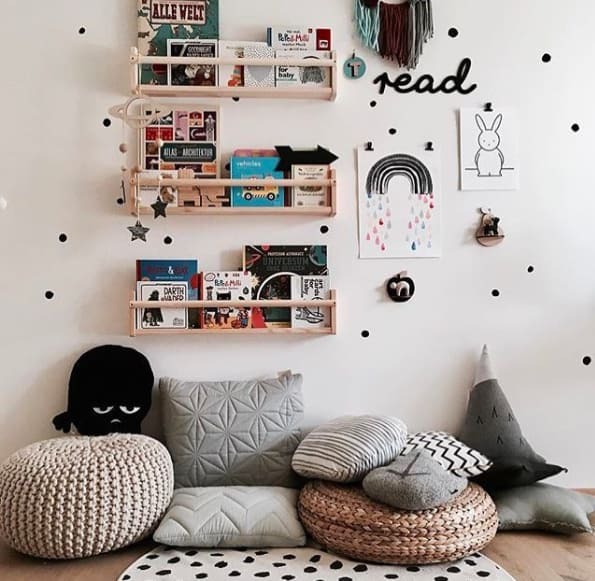 Here are five steps to easily create a reading nook for very little money. 1. Choose a place that works for your family’s reading nook. A little used closet, perhaps? Or how about that space under the stairs? Pro Tip: Make sure there’s enough space for all the kiddos to read at the same time. 2. Make it comfy with cushy seating. If your kids don’t like lounging on the floor, slipcover that comfy sofa or chair that you’ve been meaning to donate. 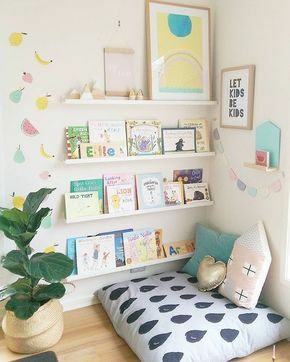 Pro Tip: Add seating that is big enough for parents to be comfortable on for at least the length of a few picture books so you can read in the nook with your kiddos. 3. Make it cozy and warm. Pro Tip: If it’s not cozy and comfortable, nobody will want to use it. Think about what your kids like and add those elements. Pro Tip: Create all the artwork together, that’s another day’s activity of great quality time. A screenshot of Google search image results. Pro Tip: Add a bin or shelf labelled LIBRARY BOOKS to help keep your loans separate from your owned books. Refill that box with new library books every week or two. And there you have it, five steps to build a reading nook for your kids.